Point2 Homes gives you far more than a simple list of houses for sale. Get instant access to a lot of relevant information about West Point Grey, Vancouver, BC real estate, including property descriptions, virtual tours, maps and photos. The search results pages also have a wealth of information on West Point Grey, Vancouver, BC, if you scroll all the way down. There are 44 houses for sale in West Point Grey, Vancouver, BC. 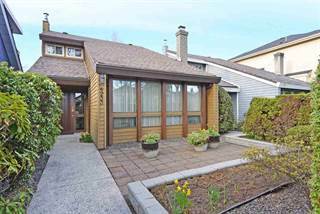 Searching homes for sale in West Point Grey, Vancouver, BC has never been more convenient. 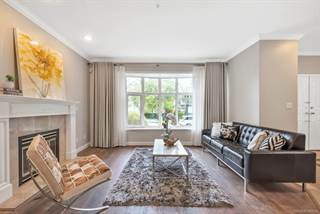 With Point2 Homes, you can easily browse through West Point Grey, Vancouver, BC single family homes for sale, townhomes, condos and commercial properties, and quickly get a general perspective of the real estate prices. Also, you’ll never miss a bargain if you filter listings based on house price drops in the past six months. Use the map view to find West Point Grey, Vancouver, BC homes and apartments for sale, based on amenities or city features that you may want close by. You can close in on a specific neighbourhood or area by simply drawing around them with the polygon or radius tools. Stay informed about the latest entries on the real estate market by saving your searches. This way, you get new listings in your inbox, daily or every week, based on your preferences. If you’d like to get in touch with a professional, agents are displayed next to their listings, and they’re easy to contact through the online forms. If you want more options, you can click the Tools tab and Find an Agent, and you’ll get a list of helpful and knowledgeable real estate agents in West Point Grey, Vancouver, BC. Visit the Point2 Homes blog and you can find up to date expert advice on many markets throughout Canada, regular market reports, neighbourhood scoops in cities throughout the provinces, real estate deals and useful recommendations. One of Vancouver, British Columbia’s oldest neighbourhoods, West Point Grey is also one of its most beautiful. From atop the bluffs that overlook the Strait of Georgia, residents enjoy views of the Burrard Inlet, the downtown core and the North Shore mountains. The area is known for having sprawling beaches, vast areas of parkland and many luxury homes. West Point Grey is known for its typical Pacific Northwest beauty, highlighted by large rugged beaches and stretches of dense, temperate rainforest. The neighbourhood is home to the University of British Columbia, one of Canada’s top three universities. Over 40,000 students attend the university and since its main campus is in Point Grey, parts of the neighbourhood have a college town feel. Many of its residents are university students and professors. West Point Grey’s magnificent location and stunning views mean that it is also an attractive area for luxury waterfront homes. This gives the neighbourhood an interesting mix between young people and older, wealthier residents. Point Grey Village, a historic shopping district along West 10th Avenue from before 1929, when Point Grey was its own municipality, remains intact and is still the hub for shopping and eating out in West Point Grey. The small, independently owned businesses in the area give it its village-like feel. There you will find Burgoo, the perfect spot for comfort food like hearty soups and stews. Just don’t look for burgers there: burgoo is another word for a thick soup, which the owners found to be an interesting name for their bistro. If looking at all the ocean views in the neighbourhood has you craving seafood, you can head over to Provence Mediterranean Grill for some crispy calamari or spaghettini with prawns and scallops. West Point Grey is also home to Enigma, one of the best spots for brunch on Vancouver’s West side. Brunch is served there every weekend from 10 am to 3 pm. 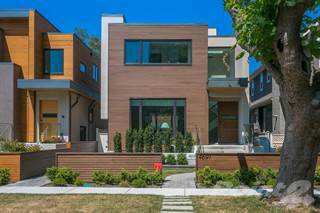 West Point Grey is home to some of Vancouver’s most exclusive real estate. This neighbourhood has many luxury single-family homes on large lots, some of them overlooking the waterfront, with fabulous views of Vancouver and the North Shore mountains. The area also offers condos and town homes, many along 10th Avenue or on Tolmie Street. West Point Grey is a calm, mainly residential neighbourhood, with a lot of green areas and many wide-open spaces. The air and noise pollution in this part of Vancouver is minimal. West Point Grey is an affluent, upscale community where the crime rate is low. Caution is needed, however, in deserted areas and places that are not well lit at night, such as Pacific Spirit Regional Park and the UBC campus. Some sexual assaults have occurred in these regions. Overall, though, as much of Vancouver, this is an extremely safe area. Students in West Point Grey have easy access to several public and independent elementary schools, as well as two public high schools. Two very traditional elementary schools in the neighbourhood are Queen Mary Elementary and Queen Elizabeth Elementary, opened in 1915 and 1940 respectively. Kindergarten to grade 7 is also offered at University Hill Elementary and École Jules Quesnel, a French-immersion school. Older students in the public system attend Lord Byng Secondary School and University Hill Secondary School. In the independent system, there is the Catholic elementary school Our Lady of Perpetual Help and the preparatory school West Point Grey Academy, with classes from pre-kindergarten to high school. Many major bus routes run through West Point Grey, many of them ending at the University of British Columbia. The 99 B-Line express bus runs through West 10th Avenue and connects the area to the eastern side of the city and the Skytrain. Other important bus routes can be found on West 16th Avenue, West 4th Avenue and Alma Street. There is no rapid transit line in the neighbourhood yet, but there have been discussions about creating one to connect UBC to East Vancouver and the Skytrain. Two of Vancouver’s most popular beaches, Jericho Beach and Spanish Banks, are in West Point Grey. On the east side of Jericho you will find plenty of swimmers leisurely enjoying the beach and a swimming raft, while on the west side, where the Jericho Sailing Centre is located, there are more sailboats and windsurfers. For land activities, Jericho Beach offers tennis courts, playing fields and picnic tables. Nearby Spanish Banks, known for its many beach volleyball courts, is also a great place for barbeques and watching the sunset over English Bay. If the beaches were not enough natural beauty for this neighbourhood, there are also the 750 hectares of temperate rainforest and dozens of hiking trails in Pacific Spirit Regional Park. The University of British Columbia campus also houses many family attractions, including the UBC Botanical Gardens and the suspended walkways and tree platforms of the Greenheart TreeWalk, the Beaty Biodiversity Museum with its gigantic whale skeleton and other interesting natural history exhibits, and the Museum of Anthropology, known for its displays of world arts and culture, especially from the peoples of the Pacific Northwest. West Point Grey has its own community centre and a local branch of the Vancouver Public Library as well. Two major festivals liven up the area every year. In June, the Point Grey Fiesta, with its parade and carnival rides, celebrates the start of summer, and in July the Vancouver Folk Music Festival brings musicians from all over the world to Jericho Beach. Read more about living in Vancouver, BC.